LATE this afternoon Rural Funds Management Limited advised the Australian Stock Exchange that it has contracted to acquire Cobungra, a 6,486 hectare cattle property located in Victoria. Established in 1997, RFM manages approximately $1.2b of agricultural asset in NSW, Qld, South Australia and Victoria, including $892m of assets in six investment funds for which RFM is the responsible entity. RFM’s largest fund under management, the Rural Funds Group (RFF), is an ASX-listed real estate investment trust. In today’s announcement RFM said Stone Axe Pastoral Company, a Wagyu producer that leases two other properties from RFF, has entered a ten-year lease of Cobungra with a rent review in year five. RFM said the lease rate was consistent with existing RFF cattle property leases. RFM said the property has the potential for productivity enhancements with development capital expenditure attracting additional rent. “The acquisition is consistent with RFF’s strategy to acquire assets which may benefit from productivity improvements, add to the frequency of rent reviews, are in sectors in which RFM has expertise and enhance diversification,” the company statement said. RFM said the purchase price of $35.0m (exclusive of stamp duty) will be funded from RFF’s debt facility. The property is expected to settle in March 2019. Stone Axe Pastoral Co was founded by Cicero Group founders Mathew Walker (son of Wagyu industry pioneer Chris Walker, who sold his Westholme herd to AA Co in 2013) and James Robinson in 2014. The business has a vision to develop a large Fullblood Wagyu breeding herd, and a 20,000-head capacity feedlot and integrated processing facility in Western Australia to supply premium Wagyu beef into domestic and export international markets. Although the business has its foundations in WA, Stone Axe last year made a significant investment in developing breeding operations in eastern Australia, outlaying around $17.5 million to purchase 2145ha Glen Alvie in premium cattle country near Ebor. That figure represented a value of about $8100/hectare ($330/acre). The NSW Government’s GO NSW Equity Fund invested $3.3 million dollars in Stone Axe Pastoral at the time of its purchase in Glen Alvie. Stone Axe said following the purchase it would use Glen Alvie primarily to run 2000 Fullblood Wagyu breeders, bulls bred for the business and a limited number of steers, as part of plans to produce 5000 Fullblood embryos each year. Genetics, rather than live animals, would continue to be transported to Stone Axe’s Cheviot Hills property near Kojonup, about 260km south east of Perth. Cheviot Hills is the location of a proposed 20,000 head feedlot and integrated abattoir. Mr Walker also has a property called Colenso near Hardin in NSW. 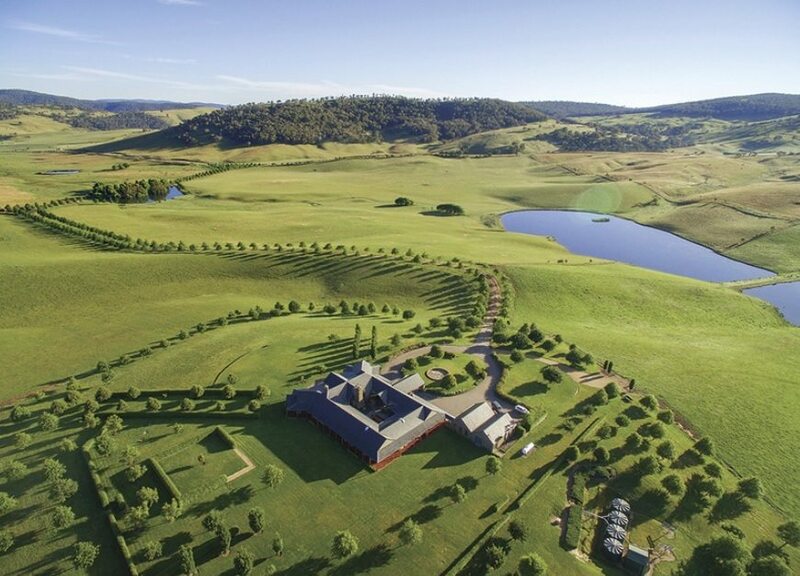 In February 2018 Cobungra Station, totalling 31,000ha of freehold and pristine alpine lease land, ,was listed for sale for only the third time in 100 years. Located at the foothills of Mt Hotham in Victoria’s East Gippsland region, Cobungra has been a consistent large scale producer of quality beef for since the 1900s. Since its purchase by Mark Suhr in 2001 the property has concentrated on Fullblood Wagyu production, starting with a herd of 70 cows descended from Michifuku bloodlines. The Wagyu herd today includes more than 500 genetically-superior Fullblood cows. Cobungra enjoys a longstanding and close relationship with prominent Fullblood Wagyu supply chain manager David Blackmore, and beef produced from the feeder cattle generated from the Cobungra breeding program is distributed domestically and internationally under the award-winning Blackmore Wagyu label. The holding, featuring a magnificent homestead complex, also carries substantial numbers of Hereford, Angus and first cross Hereford x Angus cattle. 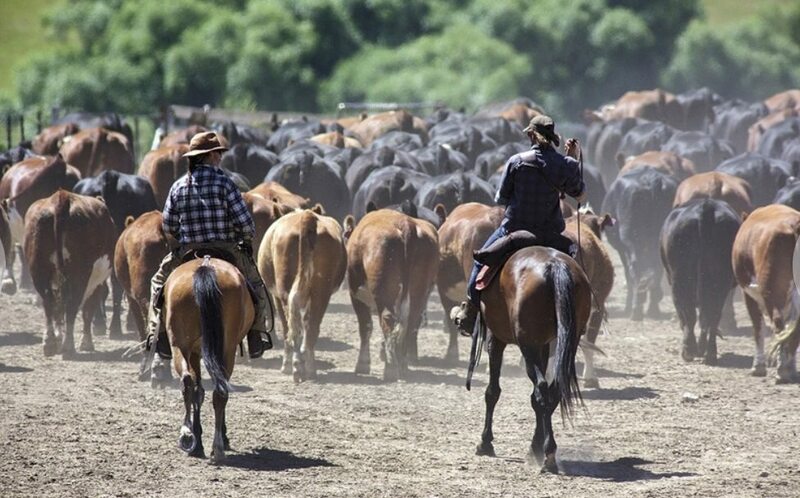 In total, Cobungra has the capacity to carry more than 4000 breeding cows plus replacements. About 6488ha of lower-lying country is Freehold tenure, with the balance, more than 24,500ha, comprising alpine leases. Since its purchase 17 years ago, the vendor has developed the property with extensive improvements to strategic water catchments, fencing and laneways, pasture improvement and a 500-cow, under-cover, state-of the-art cattle yard complex. Extensively improved pastures and sheltered grazing are underpinned by excellent climatic conditions and abundant water including three permanent mountain streams, over 60 catchment dams and two irrigation dams. One of the property’s many outstanding features is a stunning 1200 sq metre five-bedroom, five bathroom alpine style homestead surrounded by gardens designed by renowned landscape designer Paul Bangay.